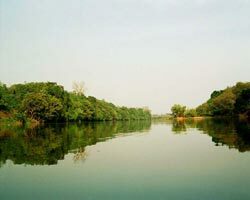 Sierra Leone has a tropical climate with two distinct seasons. The Dry Season (December to April) is dominated by winds from the northeast (i.e. the North-east trades), and the rainy season (May to November). Both seasons may have some variations in the commencement and duration. Sierra Leone has developed many adaptation projects to address adverse effects of climate change based on existing coping mechanisms and practices such as Develop and enact appropriate policies and regulations relevant to the development of coastal communities, urban growth planning, and critical coastal ecosystems preservation and the Establishment of a National Sea- Level Observing System for Sierra Leone. Sierra Leone has an area of 72,325 km2 between latitudes 6055’ and 10000’ North and between longitudes 10014’ and 13017’ West. The coastal zone of Sierra Leone extends for a distance of about 465 km. 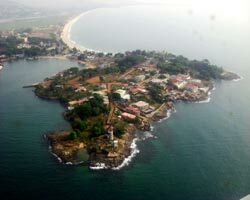 The configuration of the coastline and international boundaries of Sierra Leone encloses a very compact country. Sierra Leone is bordered in the northeast by the Republic of Guinea, in the south and southeast by the Republic of Liberia and in the west by the North Atlantic Ocean. Climate Change is known to have adversely affected the environment, Agriculture, Food Security, and even the lives and livelihood of large communities. Fishermen are known to have lost their lives in storms and passenger boats have encountered weather-related accidents – even though some go unreported Flooding is known to have affected agriculture and habitats of people in Sierra Leone and their suffering aggravated by the attending health problems of water-borne diseases (typhoid dysentery cholera and diarrhea) due to lack of safe drinking water. Sierra Leone is particularly vulnerable to the increasing frequency and severity of droughts, floods and severe storms (hail, thunder, lightning and violent winds), and their impacts on sectors such as agriculture, fisheries, water resources, as well as infrastructure and hydro-electric power production. Such climate-related hazards are having increasingly adverse effects on the country and future climate change is likely to further exacerbate the situation. United Nations Development Programme UNDP in partnership with the Global Environment Facility GEF and the Government of Sierra Leone has ended the second phase of the project inception workshop on early warning on climate change adaption in the country. Climate Change is known to have adversely affected the environment, agriculture, food security, and even the lives and livelihood of large communities. Fishermen are known to have lost their lives in storms and passenger boats have encountered weather-related accidents, even though some go unreported. Flooding is known to have affected agriculture and habitats of people in Sierra Leone and their suffering has been aggravated by the attending health problems of water-borne diseases (typhoid dysentery cholera and diarrhea) due to lack of safe drinking water. 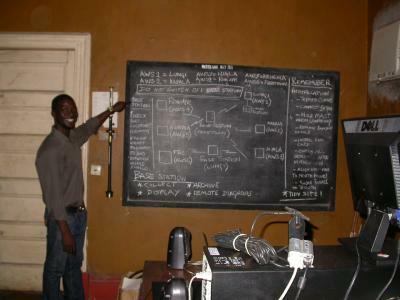 To view progress on Sierra Leone's SNC click here. The government of Sierra Leone has adopted short-term development plans based on the Millennium Development Goals (MDGs), the Poverty Reduction Strategy Paper (PRSP), the vision 2025 Sierra Leone document and a series of action plans which are project (short-term) driven. These development (sectoral) plans constitute baseline development strategies which have not taken onboard stresses that can be created by climate change. The NAPA projects seeks to address climate change related stresses or shocks that may disrupt these ongoing development plans. The government of Sierra Leone has adopted short-term development plans based on the Millennium Development Goals (MDGs), the Poverty Reduction Strategy Paper (PRSP), the vision 2025 Sierra Leone document and a series of action plans which are project (short-term) driven. These development (sectoral) plans constitute baseline development strategies which have not taken onboard stresses that can be created by climate change. The NAPA projects seeks to address climate change related stresses or shocks that will disrupt the process of development. This report also contains priority activities and projects which are to be undertaken to enable Sierra Leone meet its immediate needs and respond to her most urgent concerns with regards to adaptation to the adverse effects of climate change. Sierra Leone has developed many adaptation projects to address adverse effects of climate change based on existing coping mechanisms and practices such as Develop and enact appropriate policies and regulations relevant to the development of coastal communities, urban growth planning, and critical coastal ecosystems preservation and the Establishment of a National Sea-Level Observing System for Sierra Leone. Climate Change is known to have adversely affected the environment, agriculture, food security, and the lives and livelihood of large communities. Fishermen are known to have lost their lives in storms and passenger boats have encountered weather-related accidents, even though some go unreported. 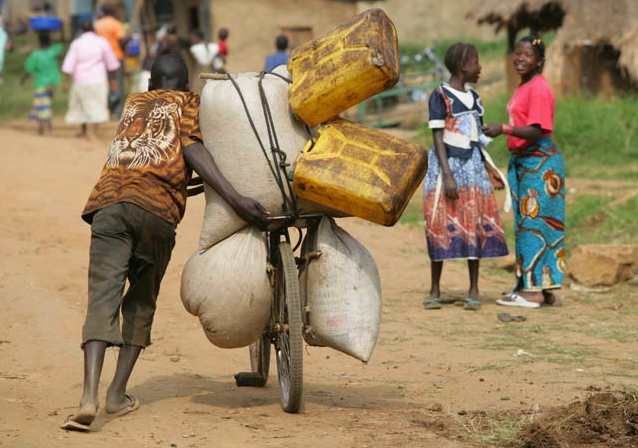 Flooding is known to have affected agriculture and habitats of people in Sierra Leone and their suffering has been aggravated by the attending health problems of water-borne diseases (typhoid dysentery cholera and diarrhea) due to lack of safe drinking water.